For some of you probably already had or used MUA (Make Up Academy) products, either eyeshadow, lipstick, or foundation. MUA (Make Up Academy) is a UK brand that famous for affordable make up products and I actually heard about this brand from another beauty bloggers. 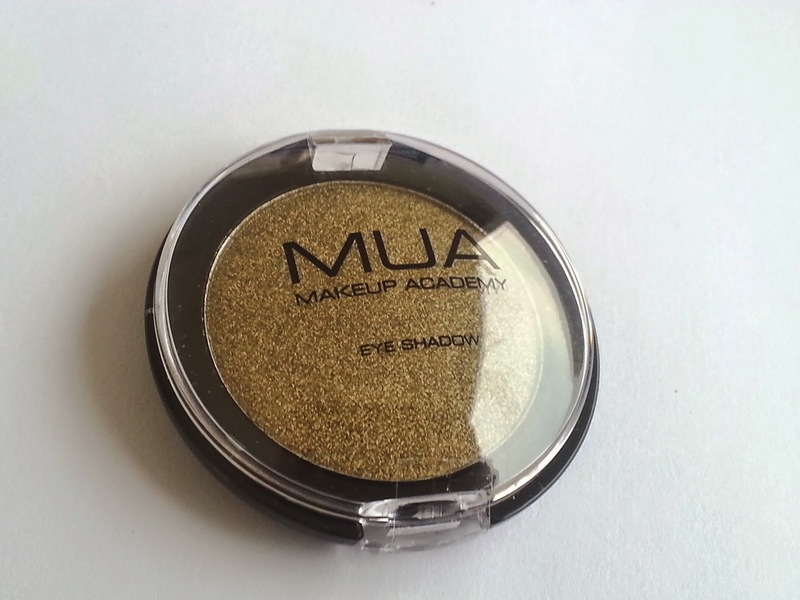 Few weeks ago I received my first MUA product, it's MUA Pearl Eyeshadow. This line of eyeshadow came up with 39 colors. So it's quite a lot of colors in my opinion, but the one that I got is shade #29. My first impression when I got this eyeshadow was the sleek packaging. It's not the sturdiest packaging out there, but it's certainly sleek for my taste. All shades for MUA Pearl Eyeshadow was named in number, such as #29, #2, #16, and etc, something that's not very interesting in my opinion, but i wont complaint since it's better rather than products with no name at all. Most MUA products are considered drugstore products since it's very affordable, for example this Pearl Eyeshadow cost around IDR 55,000 for 2 grams. The size of the pan is almost as big as a blush pan. So you got a lot of eyeshadow right there. Plus you get a very pigmented eyeshadow as well. It swatched beautifully on my hand as well as on my lid. 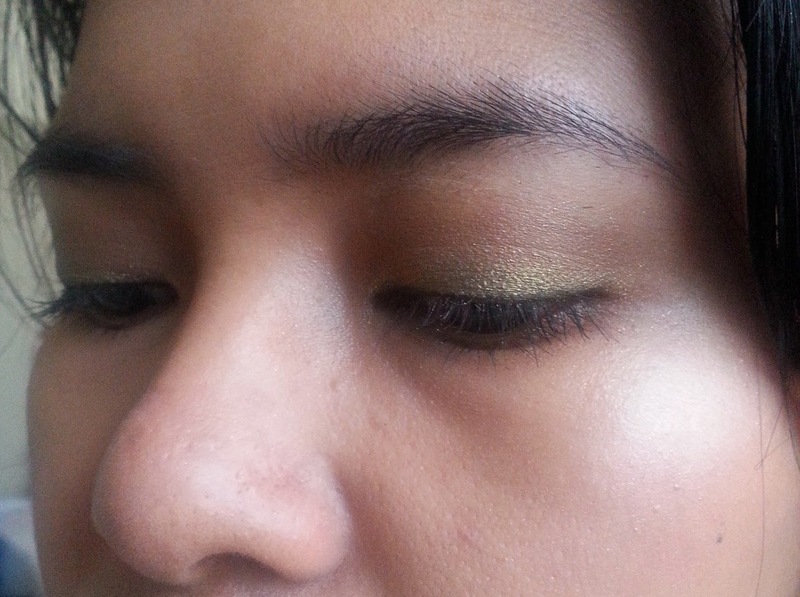 I have to say though, I am not a fan with the shade #29 which is a green jade with golden shimmer, but the color stays true when I applied it on my lid. So MUA Pearl Eyeshadow in shade #29 is a "what you see is what you get" product. 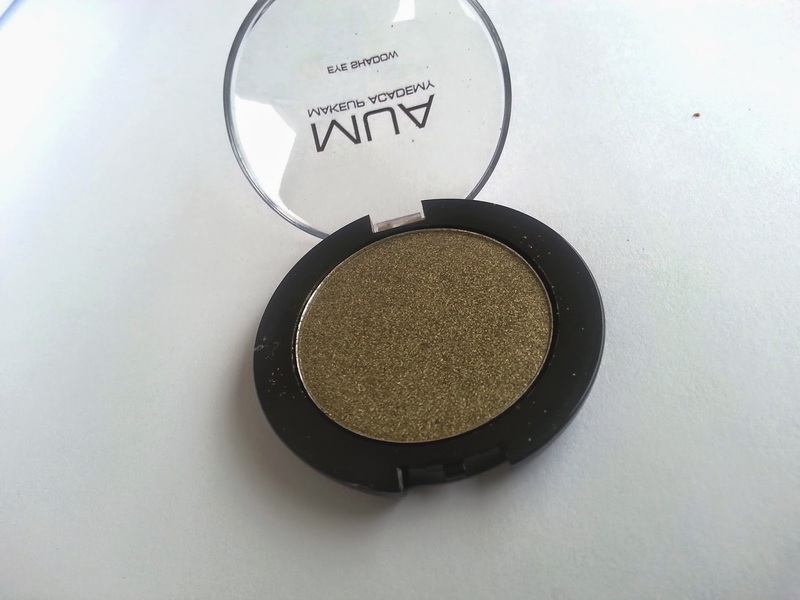 The texture of this eyeshadow matches the price, it's not very smooth and at the same time having alot of fallout. But it could easily be fixed by dusting the fall out after your make up is done. 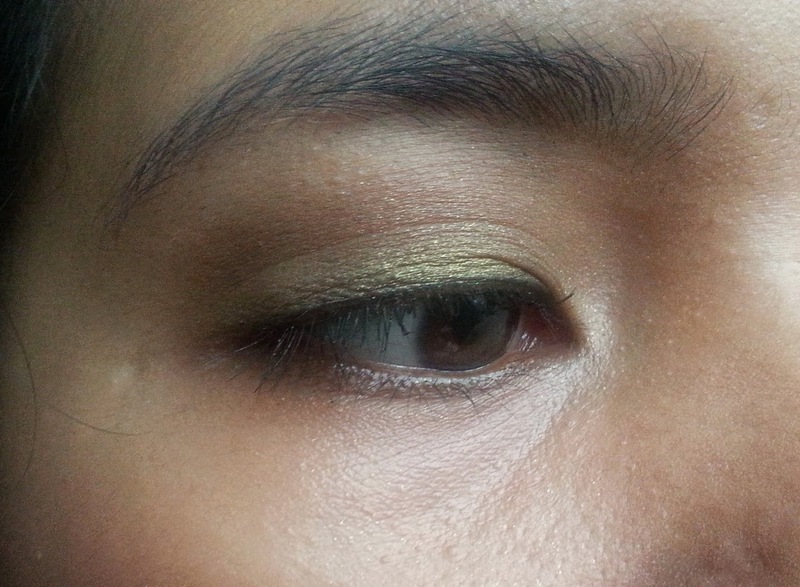 So have you tried this eyeshadow? Let me know what your think about this product. I am thankful for a day off in a hectic week. 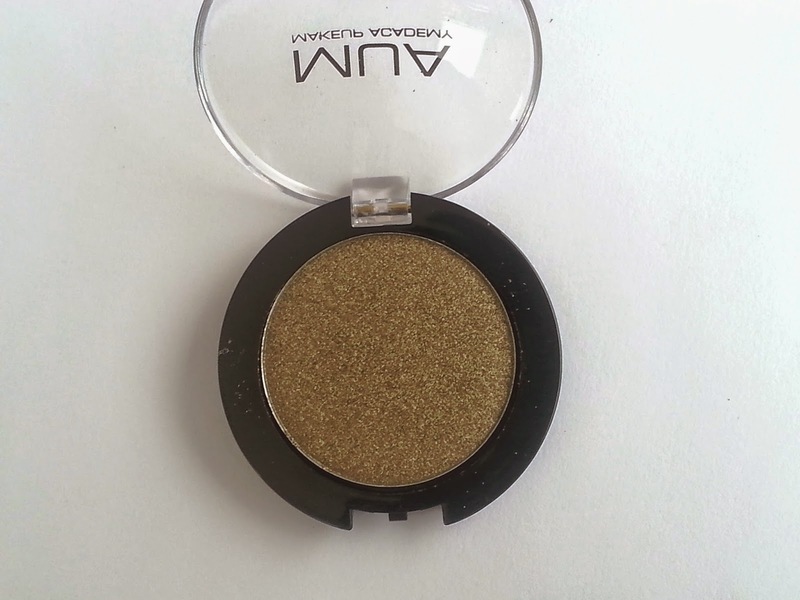 di olshop kayanya banyak deh, yg pasti di cosmekita website jual single eyeshadow pearl kaya gini. btw, thanks ya I'll follow you back vivi! Ini menuai banyak sekali good review yah. Sepertinya akan mulai mencoba. Nice review dear. Iyah banyak yang suka, soalnya harganya murah ama kualitasnya sebanding harga lah.. I haven't tried this eyeshadow but it looks amazing on you! got this from or just whawt the theme is called. hey, I actually downloaded the original design from internet and I costumized it by my self, like color, background, font, and etc. but I am sorry, cos I really forget the name of the tempalte, but the font title for my blog is Hommade Apple, this font i rarely found in other design. so I hope you can search on the internet fo the similar design. Goodluck!